Dr. Russell Hart earned his PhD in History from Ohio State University. He is the author of Clash of Arms: How the Allies Won in Normandy, 1944 (Boulder, Colorado, 2001) and Guderian: Panzer Pioneer or Mythmaker? 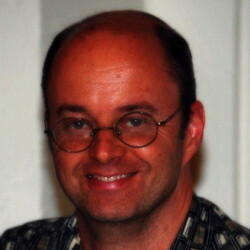 (Dulles, Virginia, 2006) and is the co-author of four additional works. He has published articles on topics ranging from armored warfare, coalition command, combat effectiveness, and reconstruction of wartime memory. Dr. Hart’s research interests include modern history, military history, diplomatic history, and genocide studies. Dr. Hart teaches U.S. Military History, History of Military Thought, the Second World War, History of Genocide, Modern European Diplomatic History, and Research Methods.